1. North Korea will invite US experts to witness its nuclear site shutdown in May. On Friday, Kim Jong Un and South Korean President Moon Jae-in said they wanted to achieve “complete denuclearization” of the Korean Peninsula. 2. UK Home Secretary Amber Rudd resigned. Rudd is the fourth minister to resign in half a year. 3. Angela Merkel warned that the EU will “defend its interests” if its not exempted from US tariffs. The EU’s temporary exemption from taxes on aluminium and steel imports expires on Tuesday. 4. Australia is sending a surveillance aircraft to monitor potential sanction breaches by North Korea.North Korea regularly breaches sanctions by taking part in ship-to-ship transfers in the high seas, and Australia’s aircraft will monitor for similar activity. 5. China is monitoring workers’ brains to increase productivity and profits. Some workers have started wearing caps that monitor their brainwaves, and the data is used by management to readjust work flow. 6. Saudi Arabia’s Crown Prince said Palestinians should accept peace or “shut up and stop complaining.” Saudi Arabia has historically played a central role in Middle East peace talks but it may now be growing tired of its mediator role. 7. US telecom giants T-Mobile and Sprint are forming a new $US146 billion new company. The agreement marks the culmination of four years of on-again, off-again discussions. 8. A blast in Kabul, Afghanistan, killed 21 people. No group has claimed responsibility for the attack, which came just a week after a bomb at a voter registration center killed 60 people. 10. Iranian activists are scrawling their protests on thousands of bank notes to avoid censorship. Iran has arrested upwards of 5,000 people during recent protests and has been cracking down on online dissent. BEIJING—China is careening toward a demographic time bomb. In another decade, it will have more people over 60 than the entire population of the U.S. Its workforce is shrinking, and not enough babies are being born. In the nation with one of the lowest fertility rates in the world, couples are still discouraged from having multiple offspring—children who could help rejuvenate the fast-aging population. Some experts have argued over the years that slower population growth could help ease the pressure for China to create new jobs as technology increases productivity. Others contend that the aging problem looms over China’s long-term economic health, presenting a vulnerability in its global ambitions over resources, technology and industry amid a deepening trade conflict with the U.S.
Chinese officials have been softening birth restrictions, and say they are reluctant to make sudden, drastic changes to longstanding policy. Some demographers say the moves are too slow to reverse the trend. While all couples have been able to have two children without penalty since China abandoned its one-child policy in 2016, family-planning law stipulates penalties for those who have more. Local-government agents enforce the law with fines and state employers often pressure women to abide by the birth limits. Spoiler warning: There are Avengers: Infinity War spoilers in here. This post contains spoilers for Avengers: Infinity War. Do not read any further if you don’t want to be spoiled. Proceed at your own risk. 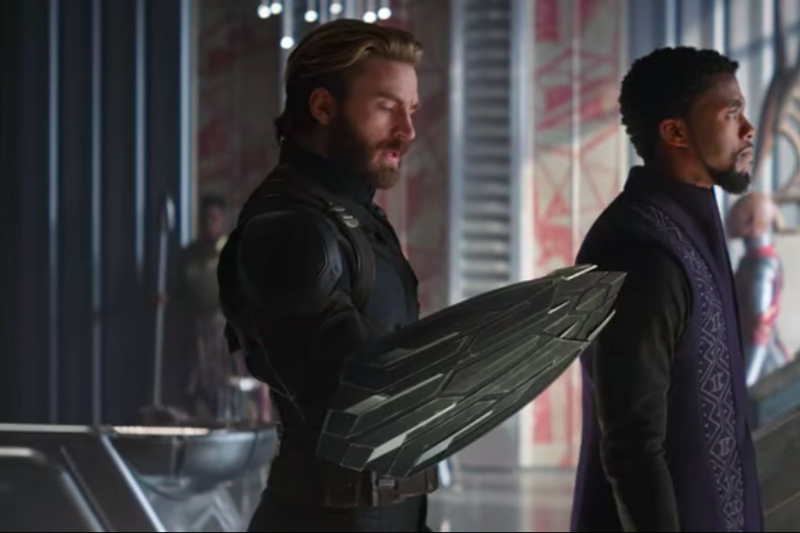 Avengers: Infinity War has one post-credits scene, and it’s huge — a teaser that sets the table for the future of the Marvel Cinematic Universe. Over the past several years, mid- and post-credits scenes have become a Marvel tradition, something fans look forward to every time the studio puts out a new release. Sometimes they contain huge reveals that hint at future movies (see: Thanos intercepting Thor’s Asgardian spaceship at the end of Thor: Ragnarok, which sets up the starting point of Infinity War). Other times, they serve as little winks from Marvel to its biggest fans, or callback to the company’s history (see: Howard the Duck dropping by at the end of the first Guardians of the Galaxy, or Captain America musing on the virtue of patience at the end of Spider-Man: Homecoming as if to imply that post-credits scenes won’t always feature big reveals). Spoiler warning: There’s major discussion about what happens in Avengers: Infinity War in the next section. This is your last chance. What happens: At the end of Infinity War, Thanos’s plan comes to fruition. In those closing minutes, we watch Avengers vaporizing into nothing and the survivors realizing that Thanos has indeed eliminated half of the universe’s inhabitants. In the post-credits scene, Samuel L. Jackson’s Nick Fury and Cobie Smulders’s Maria Hill (whom we haven’t seen since Age of Ultron) are alerted of the attack on Wakanda while driving. While they’re gathering information, a car swerves and crashes in front of theirs, and they realize no one is driving it. Seconds later, Hill is vaporized, to Nick Fury’s horror. The audience, having seen what happened in Wakanda, knows that this is the effect of Thanos eliminating half of humanity — but Fury doesn’t know that. As he, too, begins to vaporize into nothingness, he manages to fire off one last message on a communications device, which the camera zooms in on it as it sends. A star-shaped logo appears as confirmation that his message was received. The star-shaped logo with the stripes on Fury’s device corresponds to the star-shaped logo and stripes on Captain Marvel’s uniform (above). 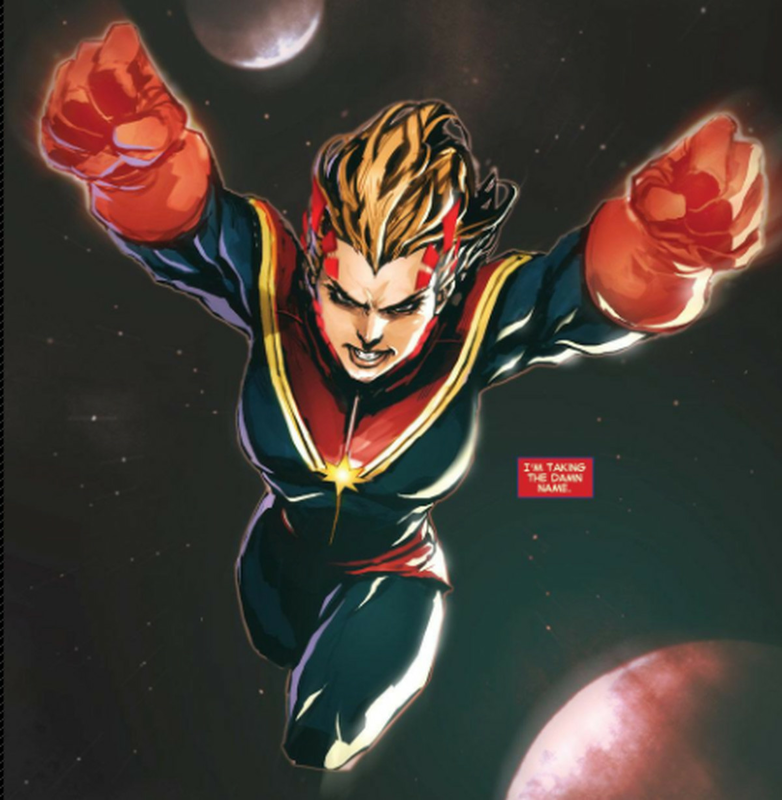 That’s actually part of a 2012 uniform redesign, which was part of bigger overhaul of the character that turned Ms. Marvel into Captain Marvel (a title that has been held previously by other characters). Ahead of 2020, the California senator is applying lessons drawn from Bernie Sanders’ 2016 presidential campaign. LOS ANGELES — The legacy of Bernie Sanders’ 2016 fundraising juggernaut is already shaping the architecture of the next presidential campaign. Sanders has not yet said whether he will run again in 2020. But two years after the Vermont senator demonstrated the potency of a populist message married to an online, small-dollar operation — he raised $54 million in donations of $200 or less by the end of 2015 alone — Sen. Kamala Harris (D-Calif.) and other top 2020 Democratic prospects are applying lessons drawn directly from his experience. Harris recently became the latest potential presidential candidate to pledge to no longer accept money from corporate political action committees — a move adopted by an increasing number of progressive Democrats who calculate that they have more to gain than lose by forgoing corporate PAC money. 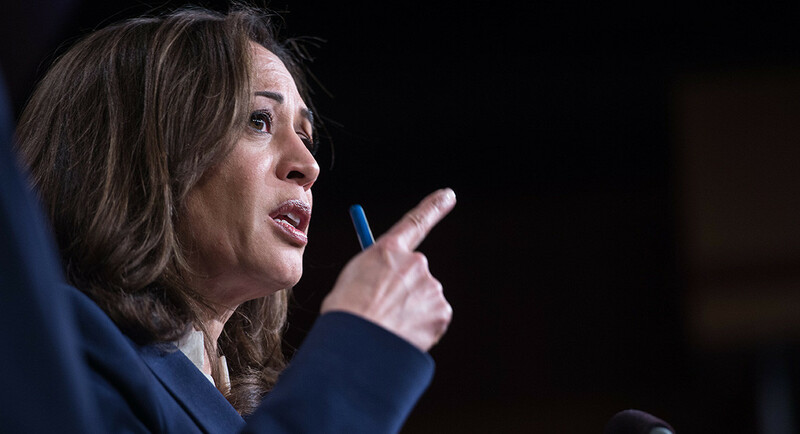 But Harris’ decision also reflected a broader — potentially more significant — effort to fortify her small-donor fundraising strategy ahead of the 2020 election. She’s spending aggressively to bolster her digital campaign infrastructure and cultivate supporters online, creating a template that resembles the one that served Sanders so well against Hillary Clinton. “People see a potential in terms of digital fundraising, so I’m not surprised to see some of our younger, more ambitious members moving on that front — especially members who, part of their base or appeal is to younger voters,” said Jaime Harrison, associate chair of the Democratic National Committee and a former South Carolina state party chair. The news outlet reported Sunday that Deputy Attorney General Rod Rosensteinordered a review of the document, which had not been thoroughly updated since 1997. “The purpose of that review is to identify redundant sections and language, areas that required greater clarity, and any content that needed to be added to help Department attorneys perform core prosecutorial functions,” DOJ spokesman Ian Prior told The Hill in a statement. BuzzFeed compared some of the updated language with the previous version listed on the Internet Archive. 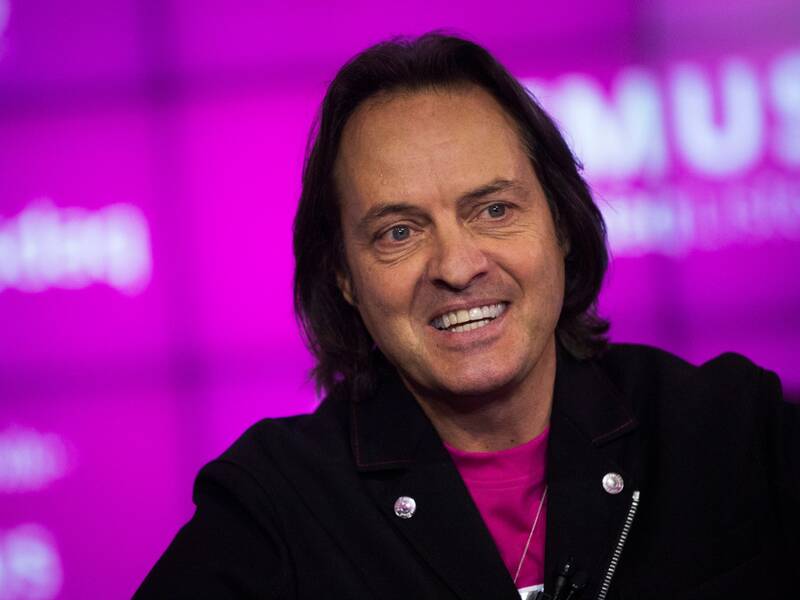 John Legere will serve as CEO of the company formed from the merger. Sprint may soon be no more. Today the venerable telecommunications company announced plans to merge with T-Mobile in an all-stock deal. If regulators give the go-ahead, the new company will be called simply T-Mobile, and T-Mobile’s current chief executive officer John Legere will be its CEO. That’s a big if. Although the Trump administration is generally seen as more friendly to the telco industry than the Obama administration was, it has taken issue against some mega-mergers, most notably AT&T’s bid for Time Warner. The combination of T-Mobile and Sprint, the third and fourth largest mobile providers respectively, would bring the number of major cellular carriers down from four to three, which could attract a lot of scrutiny. Assuming the deal moves ahead, the new company would have a combined total of around 127.2 million wireless subscribers, putting it within striking distance of AT&T’s 141.6 million subscribers and Verizon’s 150.5 million subscribers. The two companies will exchange stock at a rate of 0.10256 T-Mobile shares per Sprint share and 9.75 Sprint per T-Mobile share, valuing the combined company at $146 billion. T-Mobile owner Deutsche Telekom will own 42 percent of the new company, and the Japanese conglomerate SoftBank, which acquired Sprint in 2013, will own 27 percent. The remaining 31 percent will be held by the public. SoftBank CEO Masayoshi Son and Sprint CEO Marcelo Claure will serve on the board of the new company. Our series “Take A Number” looks at problems around the world — and the people trying to solve them — through the lens of a single number. “The only problem is that most of the species were wiped out from this area because of poaching,” she says. Many decades ago, this was the home of the Rothschild’s giraffe. Because of poaching and conflict, they disappeared from this area of Kenya for about 70 years. In 2012, conservationists decided to bring the subspecies back. They trucked eight giraffes from conservancies in other parts of Kenya and then put them on barges to be disembarked on an island in the middle of Lake Baringo. It’s part of the 40,000-acre Ruko Conservancy, a community-run program that brought the giraffes back home. As Kochulem steps out of the small boat, she says that for a long time, everyone sort of assumed that giraffes as whole were OK. But a survey in 2016 found that nearly 40 percent of the population across the continent had been wiped out in one generation. With fewer than 97,562 of all nine subspecies left, the International Union for Conservation of Nature (IUCN) listed them as “vulnerable” on its threatened species index. “So maybe it was too late somehow, but I think that now with the protection that is happening we are thinking that it might save them,” she says.